Channel 4 NewsNix, right, with Mark Turnbull, another company executive. Bosses of the data firm Cambridge Analytica were secretly filmed by Britain’s Channel 4 News saying they helped Donald Trump win the US election in 2016. 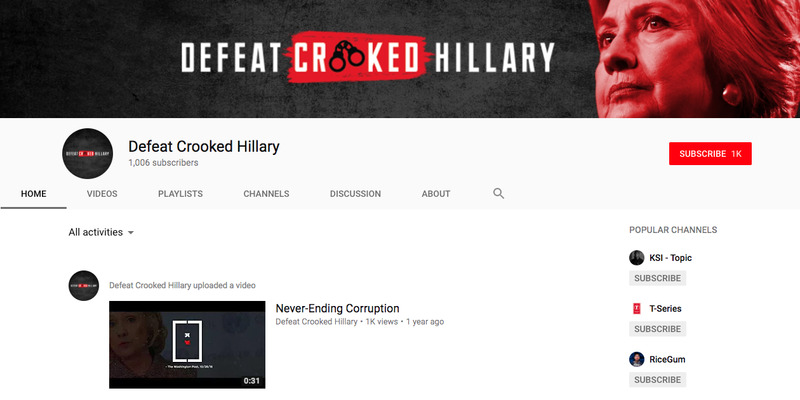 CEO Alexander Nix and colleagues detailed the level of the work they undertook, as well as the shadowy online tools they weaponised against Hillary Clinton, the 2016 Democratic nominee. They revealed how they used groups outside of Trump’s official Republican vehicle to seed attack ads – something that may pique the interest of US authorities. Clinton has questioned whether Cambridge Analytica was involved in Russia’s interference in the election. Nix was suspended as Cambridge Analytica’s CEO on Tuesday. The bosses of the data firm Cambridge Analytica were secretly filmed boasting about using shadowy online propaganda tools to help Donald Trump win the US election in 2016. 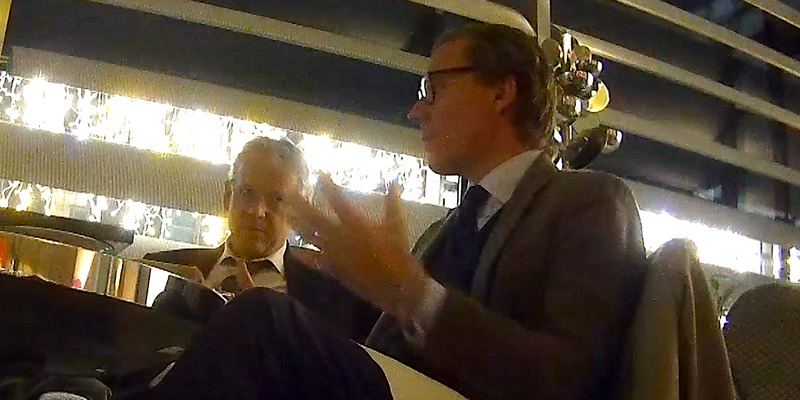 The footage is the latest revelation from an explosive investigation by Britain’s Channel 4 News, which sent an undercover reporter into meetings with Cambridge Analytica over four months. Last week, the embattled company was suspended from Facebook for harvesting the data of 50 million users. Alexander Nix – who on Tuesday was suspended as Cambridge Analytica’s CEO – and his colleagues thought they were talking to a fixer for a wealthy client hoping to get candidates elected in Sri Lanka when they met the reporter at luxury hotels in London. In one exchange, Nix told Channel 4 News’ journalist that he had met Trump “many times” and explained what the firm undertook for the Republican candidate at the time. “We did all the research, all the data, all the analytics, all the targeting – we ran all the digital campaign, the television campaign, and our data informed all the strategy,” Nix said. Republican president-elect Donald Trump gives a thumbs up to the crowd during his acceptance speech at his election night event. Photo: Mark Wilson/ Getty Images. In another conversation, Cambridge Analytica’s chief data scientist, Alexander Tayler, argued that the firm’s work helped Trump emerge victorious. “When you think about the fact that Donald Trump lost the popular vote by 3 million votes but won the Electoral College vote, that’s down to the data and the research,” he said. Nix has been suspended pending an independent investigation by the British barrister Julian Malins, the company said in a statement. Nix and his colleagues described to the undercover reporter how Cambridge Analytica disseminated Trump’s message online without leaving a trace. Mark Turnbull, the managing director of Cambridge Analytica Political Global, was filmed saying the firm would use proxy organisations, such as charities or activist groups, to discreetly funnel negative material about opposition candidates onto social media. Nix said Cambridge Analytica also used ProtonMail, taking advantage of the encrypted email service’s “self-destruct” feature that deletes messages within two hours of being read. “There’s no evidence, there’s no paper trail, there’s nothing,” Nix said. A Cambridge Analytica spokesman said encrypted communication was commonplace. “We take information security with the utmost seriousness, and for high-profile clients, using mainstream email providers simply doesn’t provide a suitable level of security,” he said. Cambridge Analytica’s bosses also explained how they used groups outside Trump’s official Republican vehicle to seed attack ads – something that may pique the interest of US authorities. Cambridge Analytica said it would use super PACs – independent campaigning committees not constrained by certain spending rules – to target Hillary Clinton, the 2016 Democratic presidential nominee. YouTubeThe ‘Defeat Crooked Hillary’ YouTube channel. “So the campaign will use their finite resources for things like persuasion and mobilization, and then they leave the ‘air war,’ they call it, like the negative attack ads, to other affiliated groups,” Tayler said. Turnbull explained how Cambridge Analytica created the “Defeat Crooked Hillary” attack ads, which Channel 4 News said were funded by the Make America Number 1 super PAC and watched more than 30 million times during the campaign. Coordination between an official campaign and these outside groups is illegal under US election law, Channel 4 News said. Cambridge Analytica has insisted that it has strict rules to separate its activity and that it was transparent about its work on political campaigns and PACs. “We have strict firewall practices to ensure no coordination between regulated groups, including the teams working on non-coordinated campaigns being physically separated, using different servers and being banned from communicating with each other,” a spokesman said. Clinton: Did Cambridge Analytica coordinate with Russia? 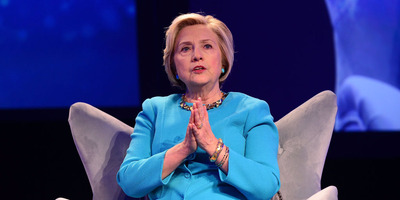 Speaking to Channel 4 News while promoting her book last year, Clinton questioned whether Cambridge Analytica was involved in Russia’s interference in the 2016 US election. Lisa Lake/Getty Images for Geisinger SymposiumHillary Clinton. “So you’ve got Cambridge Analytica, you’ve got the Republican National Committee – which, of course, had always done data collection and analysis – and you’ve got the Russians,” she said in comments that have not been previously broadcast. “And the real question is how did the Russians know how to target their messages so precisely to undecided voters in Wisconsin or Michigan or Pennsylvania; that is really the nub of the question.